Choose your partner and sign on for an evening of fun in the pottery studio. Bring on the romance, or not! Ask your co-worker, teenager, friend or parent, spouse, partner, etc. Start with a basic pottery wheel lesson and then- CREATE! 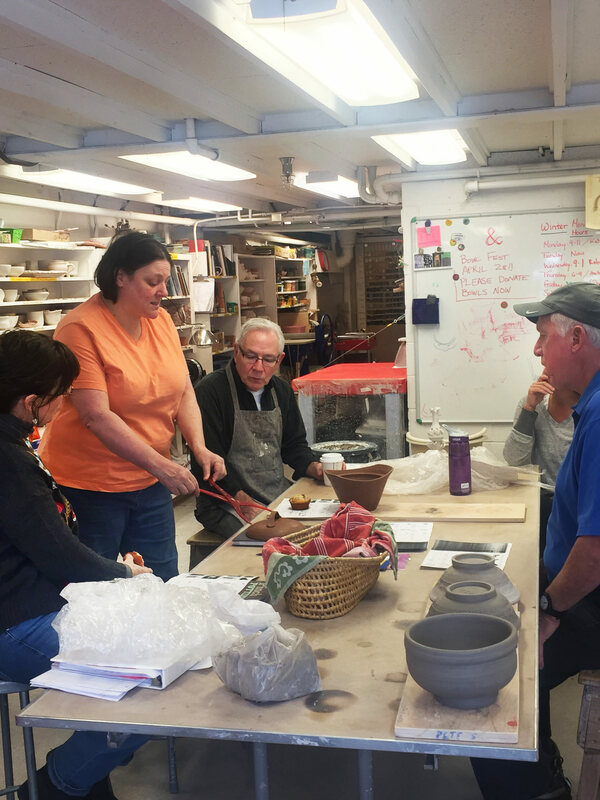 If you always wanted to try the pottery wheel but never had the chance, this class offers a minimal commitment to give it a whirl and share the experience with your pal! April 20 is reserved for glazing final weekâ€”individual evenings possible. Come learn new skills while practicing those you may have learned previously. Whether hand-building or using the wheel, students will have time to explore both the form and surface decoration of their pieces. Demonstrations and discussions will be geared to student interest. This class is designed for the beginner and intermediate student, but is open to everyone. All experience levels welcome. 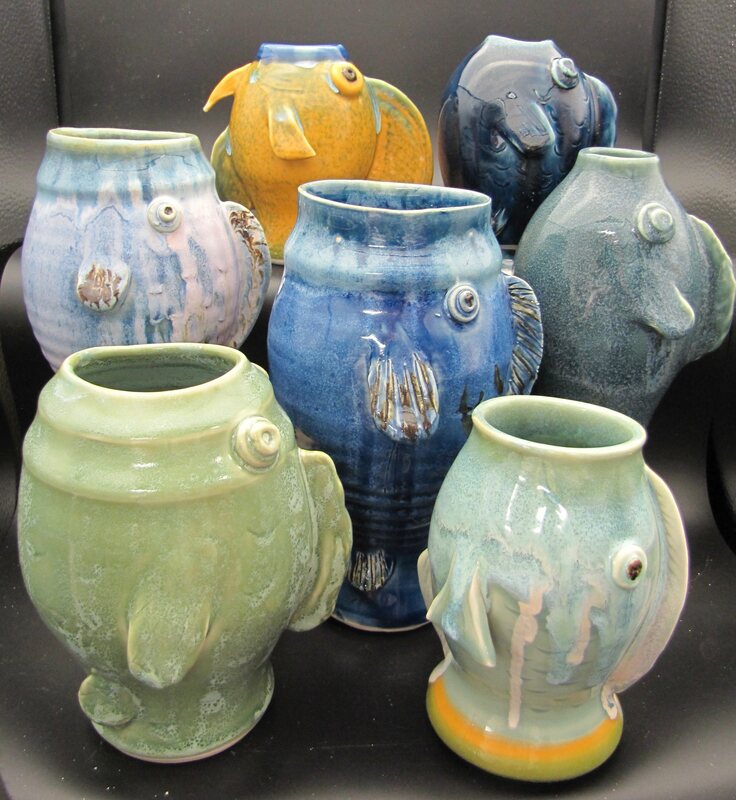 Whether you are new to pottery or you want to refine your skills, this class is for you. One-on-one throwing instruction is offered in â€œThe Natural Way to Throwâ€. Other techniques youâ€™ll explore will include: altering thrown pieces by carving, marking and re-shaping, glazing techniques, and hand building. 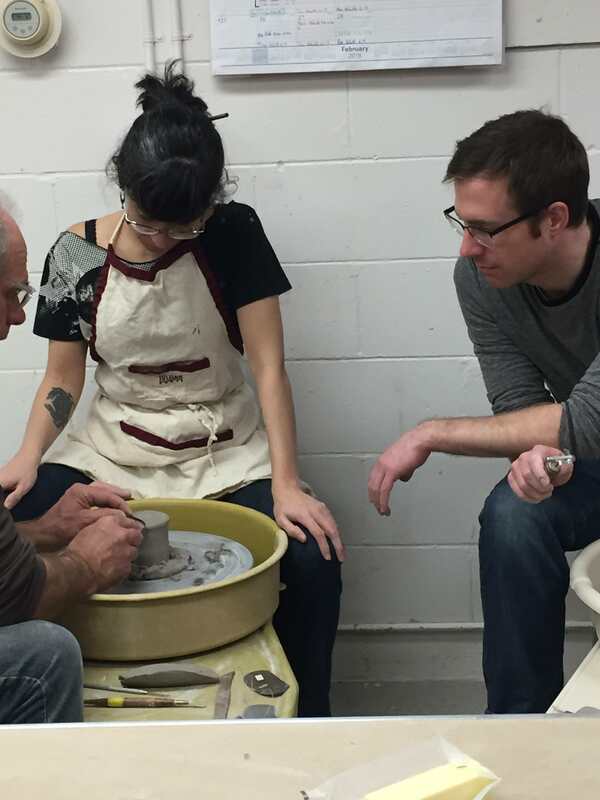 As a ceramics student with some experience working on the pottery wheel, you'll concentrate on form, turning, pulling handles, and assembling unusual pieces. You'll also explore decorating techniques inspired by the rich history of English splipware, African sgaffito, and Japanese style brushwork. Some wheel throwing experience a plus. In this 5-day class, you will build on your throwing skills and pick up some new moves Learn exercises that develop fingertip sensitivity and response as well as strength and precision. Use 'Mechanical Advantage' and 'Rhythm' to center more easily and quickly. Take time to enjoy the process of throwing itself. Hone in on discreet moves and quickly build throwing skills. Daily demonstrations and individual instruction given. 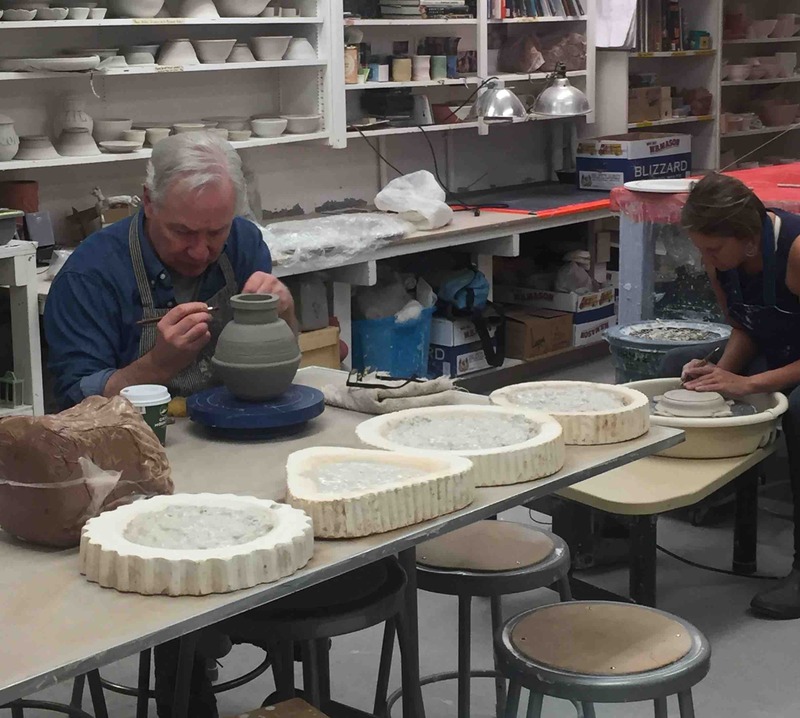 The ceramics studio can be a place of terrific creativity, but studio maintenance can be quite daunting. This class will focus on clay studio management and maintenance. We will discuss such topics as clay waste and recycling, glaze safety, general kiln upkeep, and how to design a studio for optimal flow. While this class is designed with teachers in mind, those setting up a home studio will also find it useful. OUR MISSION: The mission of the League of NH Craftsmen is to encourage, nurture and promote the creation, use and preservation of fine contemporary and traditional craft through the inspiration and education of artists and broader community.